Marriages are a lifetime project. And the first year of marriage is critical for the couple to understand and adjust with each other. As you start knowing each other, all the traits that you need for a successful marriage, such as trust and understanding, are in the nascent stage. So, how do you make your first year of marriage a success? In this post, MomJunction prepares you for the possible hardships you might face and shares some simple tips to make the year memorable. First, let’s know why the first year could be difficult for you. The first year of marriage is sometimes the hardest because you have to move in with a new person, adjust to their tastes, preferences, habits and their lifestyle. If you have been with your partner for a long time and your courtship lasted n number of years, even then marriage is a whole new ballgame of sharing your everything with another person. There may be some highs and lows, but it all depends on how you want to take your marriage forward. A little bit of patience, understanding and lots of love for each other can make the beginning of your journey joyous. 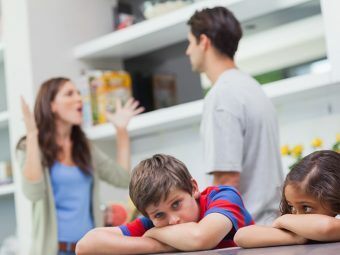 Never-ending conflicts: You are still getting used to each other and conflicts might arise even on trivial issues such as keeping the washroom clean. However, do not prolong the arguments; take a deep breath and be calm because one of you needs to let it go for the conflict to end. Lack of romance: Your spouse may be too shy to express their love or maybe they are not the romantic type. This could result in some disappointment but you can talk to them about your expectations. Selfish behavior: You may feel that your partner is being selfish and still thinks about him/ her alone while ignoring you. You may communicate your feelings to them. Debt and financial instability: Any unforeseen financial instability or previous debts of your partner can cause a lot of stress in the marriage. 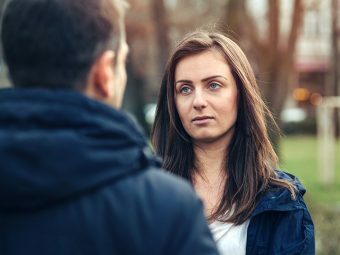 Addictions of any kind: Addictions pose a danger to the relationship not just in the first year but at any time. Domestic violence: It is important to report any kind of domestic violence immediately; never suffer in silence because nobody has a right to harm or torture you. Unrealistic expectations: If you are having unrealistic expectations from your spouse or vice versa, then it will only lead to disappointment. 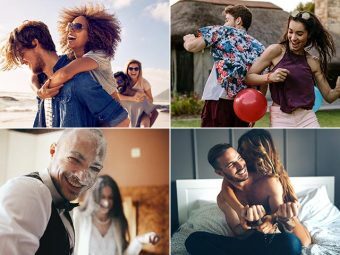 Not spending enough time with each other: Spending quality time with each other, especially in the first year is very important to know about each other and develop a bonding. In the next section, let’s see how you can wade through these potential issues and make your first year happier. Talk about finances: Chalk out the expenses and share the financial burden. Even if both or just one of you is working, plan your monthly expenditure rather than spending money arbitrarily and going broke before the month ends. If there are any outstanding loans, huge credit card debts, unstable jobs or any probable financial crisis, be transparent about them with your partner. Plan the pregnancy: Parenthood is magical but it comes with great responsibility and an added financial burden. Therefore, assess the family income, your career plans, and familial support you are likely to get, before planning your pregnancy. Schedule an appointment with the doctor, and learn about the pros and cons before bringing a new life into your world. Express your expectations: Most marriages hit a low either when the expectations from your spouse are too high or when they are not communicated clearly. Hence, to avoid any conflicts, share your expectations with them and have a clear understanding of theirs. 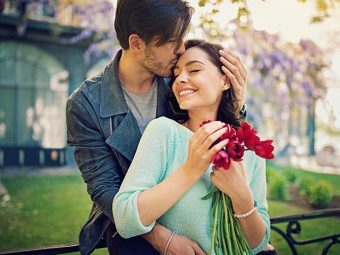 Understand the importance of small gestures: Simple acts such as showing affection through your body language, being proactive, and helping each other with the household chores go a long way in bringing joy to the marriage. Show respect and be responsible: Respect each other and your extended families. Even if there is a difference of opinion, express it politely and by being respectful. Be responsible for all your actions. 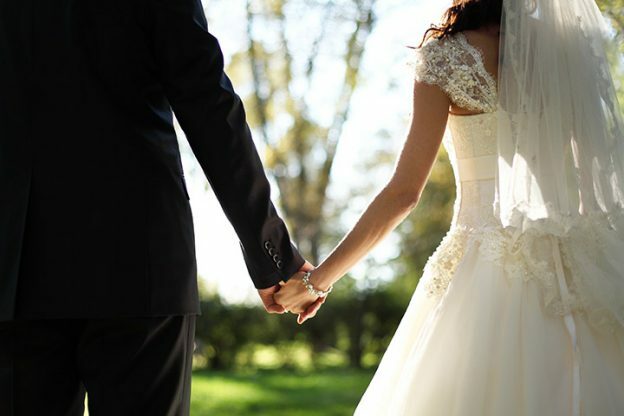 Do not compete for superiority: Marriage is a relationship between two equals. Neither of you should think that you are superior to your partner. Be accommodative and respect your partner’s views. Strive to become your partner’s strength: The first year of marriage is the transition period for all couples when they undergo infinite changes. Hence be supportive, calm and patient with your spouse. Husband and wife must become the strength of each other. Don’t keep a score: Tracking the fights or favors is a very bad idea. Simple. It’s not going to help your relationship in any way but will spoil it in the long run. Nurture the relationship: Spend quality time with each other and pay attention to details. Comfort your spouse in tough times and show them that you are there, no matter what life throws at you. It is important to connect with each other and your spouse must be your priority. Communicate: Chat, talk, express. Share your thoughts honestly. We cannot stress enough on the importance of communication. Marriage is a relationship where the partners must be able to talk about anything to everything with each other. There are no barriers or limitations. Talking is the best exercise to improve a marriage. Give space: It is important to spend a lot of time together but it is equally important to know when to leave your partner alone or give them the desired space. Your spouse may want to have their lone time to reflect on their thoughts, relax or spend time with their friends. Let them have what they want. The battle is half won if a couple has vowed to never give up on each other. The journey together begins on the first day of marriage and will continue till eternity if the couple is keen on sticking around with each other forever. You may want to listen to podcasts or read a few books to make your relationship better. If you and your partner are looking for some strategies and tools to make your marriage better, then here they are. If you are facing several issues in a marriage and nothing seems to work, then seek professional help from a marriage counselor. Discuss with your spouse and find out what would work the best for you. The first-year problems in marriage are relatively simpler and easier to work on than piling them all up to a point of no return. Focus on improving the good in the relationship and learn lessons from your bad experiences. Newly-married couple’s problems must not be ignored as the partners are still building their marriage and every small step makes a huge difference. How was your first year of marriage? Let us know your story in the comments below.